Big week for towels, eh? After spending a few days mired in Toweling Theory and Opinion, perhaps you feel moved to buy some new towels. 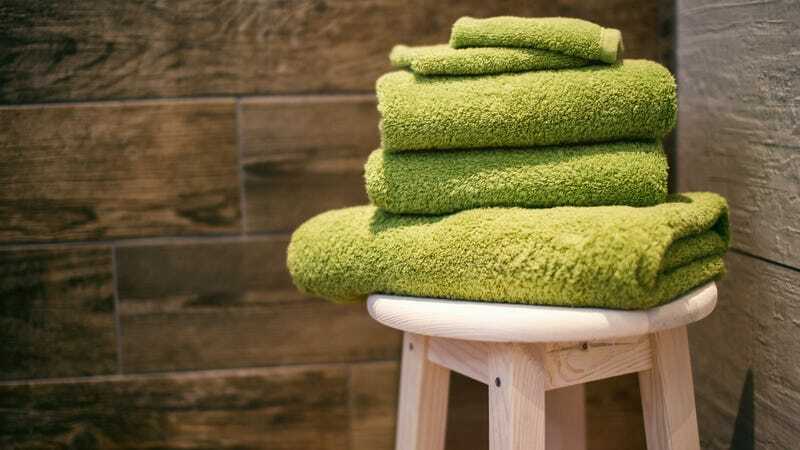 Or maybe you just have questions, like, “What’s a bath sheet?” Well, I’ve got answers and also recommendations for different types of towels you might want to stock in your bathroom. 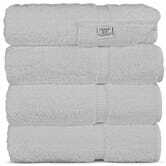 About 6 months ago, I purchased a set of 4 white Chakir Turkish cotton towels and for the money, I’ve been quite impressed with them. They’ve retained their softness after many, many washings (sans fabric softener, naturally). I’m a white sheets and white bath towels girl (not so when it comes to hand towels or washcloths, which I’ll get to) but if you like a bit more pizazz in your toweling, the Chakir towels come in 16 colors that include neutral shades like white, beige, cream and driftwood; darks like cocoa, navy and grey; and colorful shades like eggplant, aqua, cranberry and moss. A who-what now? A bath sheet. So a bunch of you asked what the difference is between bath towels and bath sheets, and the answer is simple: A bath sheet is, essentially, an oversized bath towel. 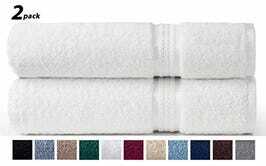 Most bath towels measure 27" x 54", while bath sheets are generally 35” X 60” (these sizes vary from brand to brand though). Bath sheets are great for people who find that regular bath towels aren’t quite big enough, or who like to wear their towels like a dramatic cape. 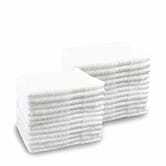 Smaller folks, like myself, might find bath sheets to be too much toweling for them to handle, so if you’re curious to try one out, maybe stick with a set of two, like these Cotton Craft bath sheets, to see if you like them. There are two types of washcloth people: Thick, fluffy washcloth people and thin, rough washcloth people. I’m actually both! For the cloths I use to wash my body, I prefer thinner, rougher washcloths because I like to feel a bit of a sloughing effect when performing my ablutions, and also because I use a fresh washcloth every day (yup) I appreciate that thinner ones are easier to wring out after use but before tossing into the hamper, so they’re not going into a pile of laundry soaking wet. For use on my face, however, I prefer a fluffier washcloth experience — I also use dark gray washcloths for my face to hide stains from removing my makeup. I beg of you, if you plan to ever have a human other than yourself in your home, please have a hand towel available in your bathroom. I cannot tell you how many times I’ve dried my just-washed hands on my pants because the only towel in a friend’s bathroom was their bath towel … the bath towel that they’d used to dry themselves after a shower … the bath towel they used to dry their rear end. You’re picking up what I’m putting down, yeah? Yeah. Be a love, buy a hand towel. 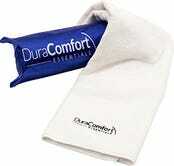 Hand towels are a place where you can go basic (white, beige, gray, black, etc.) 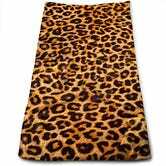 or colorful (pretty blues, darling pinks, racy reds) or wild — literally, how about some animal print hand towels?!? And then there are the ever popular holiday hand towel, which? Well why not?!? 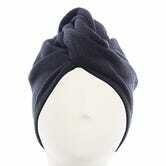 Hair towels are thinner, lighter weight and more absorbent than bath towels, which makes them a better choice for people who like to wrap their wet hair, post-washing. Because they’re thinner and more lightweight, they’re gentler on easily breakable hair, and the extra absorbency helps to wick water off your locks, speeding up drying time. Pro tip: If you frequently color your hair, consider a dark-colored hair towel, as it will hide stains caused by dye; if you lighten your hair — and I speak from what I know because I both bleach and color my hair — opt for a white hair towel to avoid color loss caused by the lightening agents.